Anthony L. Williams has more than 30 years of experience in venture capital, private equity investing, law, and the communications and media industry. He is currently the Vice President and Senior Investment Officer for Meridian Management Group, Inc. (MMG) where he plays a major role in the management of MMG Ventures, L.P. and has been with MMG since 1998. As a Senior Investment Officer, Mr. Williams is responsible for portfolio company investing, limited partner relations, financial planning and analysis, underwriting, structuring, closing, syndications and monitoring of portfolio company investments for MMG. He will be materially involved in the analysis, review and approval of investment proposals and the continual monitoring of portfolio investments. Prior to joining MMG, Mr. Williams was President and Chief Executive Officer of Broadcast Capital Fund, Inc. (BROADCAP) from 1995 through 1998. BROADCAP is a leading venture capital company that provides financing, management/technical assistance and training for minority entrepreneurs seeking to acquire and operate broadcasting properties. He was a Vice President of Syndicated Communications, Inc. and W & J Management Company, Inc., which manages a group of telecommunications venture capital funds and is better known as the SYNCOM Funds from 1989 through 1994. At Syncom, he played a major role in the development of Radio One, a portfolio company investment that went public and became the largest African-American radio station group in the country. Mr. Williams was Director of the Federal Communications Commission’s (FCC) Office of Communications Business Opportunities from 1994 through 1995. He was responsible for reviewing, analyzing and making recommendations to the FCC Commissioners on all policies and programs affecting minorities, women and small businesses. Mr. Williams was also Vice President of Fulcrum Venture Capital Corporation for two years from 1989 through 1991. He was senior business analyst and Corporate Secretary for the Cooperative Assistance Fund (CAF) for four years from 1986 through 1989. 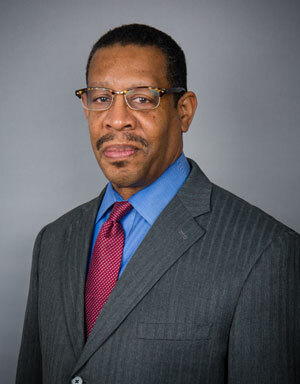 Mr. Williams was also economic development specialist/financial analyst with the Office of Business and Economic Development, District of Columbia from 1986 through 1989. A licensed attorney, Mr. Williams graduated from the University of Southern California with both a law degree and a master’s degree in Public Administration. He received a bachelor’s degree in Economics from the University of California at Irvine.